So the store owner killed the thief but he has yet to be IDed? Yikes...scary when you include the stabbing/death in San Ignacio last night...super scary. Big jump. Extra news not covered yet? The San Pedro Sun says that the police and robbers got into a fire exchange and one of the robbers was killed. Yes it is scary, but I with a robber being shot and killed this might serve as an example to deter other would be robbers and theives. Must be on the dreaded facebook as the website just has unknown if any injuries from a shopkeeper and robbers shootout. Shame they can't keep the web page updated too. News coming from our local San Pedro Police Department is that a man was shot and killed last night. 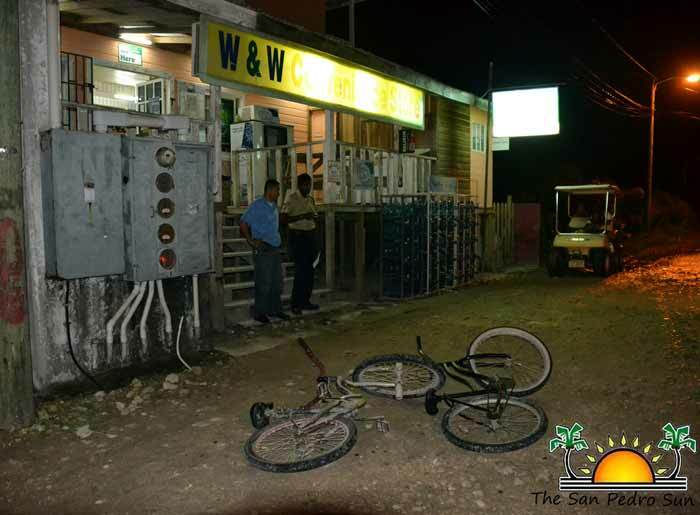 Police stated that the shooting victim was one of the suspected robbers who attempted to hold up W&W Convenience store. According to police, the suspects were warned but they nevertheless fired at police, and in an exchange, one of them was shot and killed. No names have been released. Was the one shot wearing a red and black waterproof jacket and new black Reebok size 9 trainers? They went missing the other day. What is the question Ernie, I am from England and do not understand the American word HUH?